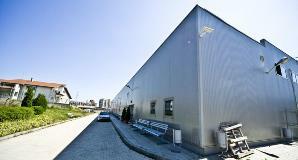 Total built-up area: 1 460 sq.m. Steel structure – production and erecting. Roof – installation of roof cladding. Walls – fixing sandwich panels.